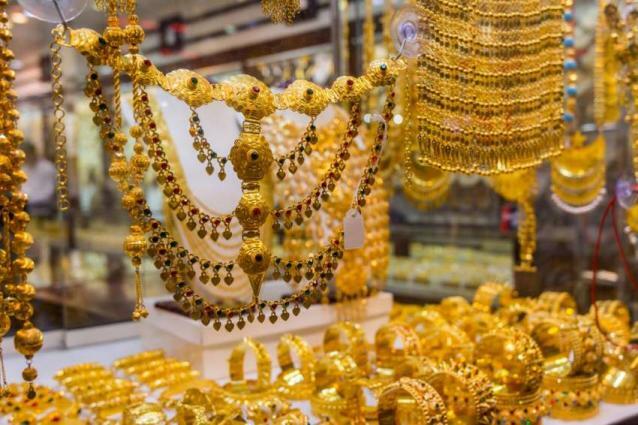 ISLAMABAD, (UrduPoint / Pakistan Point News - 17th Apr, 2019 ) :According to Karachi Sarafa Association, the per tola price of 24 karat decreased by Rs 550 on Wednesday and traded at Rs 70,000 per tola as compared with the last closing of Rs 71,550. The price of 10 gram gold also witness decrease of Rs 471 and traded at Rs 60, 014 against Rs 60, 485. According to the Rawalpindi- Islamabad local Sarafa Association, the per tola price of 24-karat gold in the twin cities of Rawalpindi-Islamabad decreased by Rs 600 per tola and traded at Rs 69,200 and that of 10 grams gold decreased by Rs 510 and trade at Rs 59,330. In the international market, the price of gold decreases by $09 and traded at $ 1276 against $1285 of last day.